Talyllyn reflection. Former Corris Railway 1921 built Kerr Stuart & Co. 0-4-2ST No.4 Edward Thomas is reflected in the windows of my train (hauled by No. 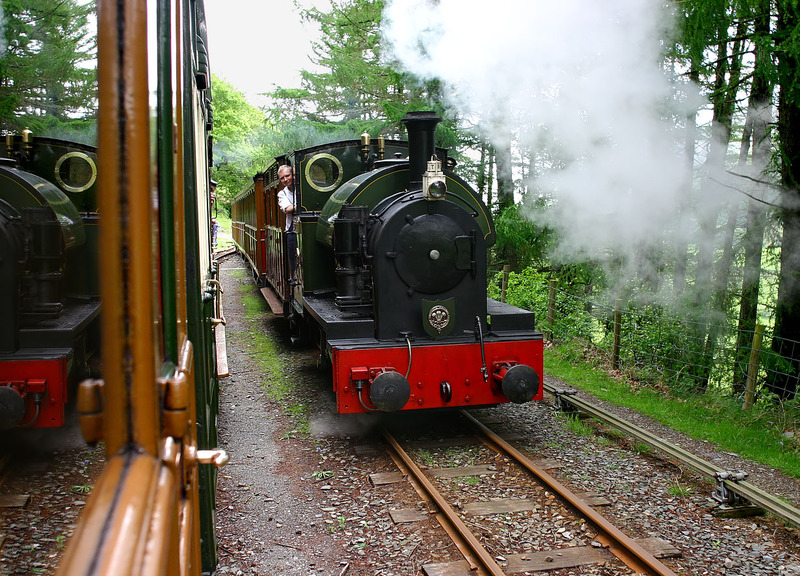 2 Dolgoch), as the two trains cross at Quarry Sidings on 20 May 2006. Edward Thomas is working the 15:00 Tywyn Wharf to Nant Gwernol, whilst I am on board the 15:00 Nant Gwernol to Tywyn Wharf service.